India is a land of huge diversity and extremes, from the lush tropics in the south to the epic plateaus of the North. Let our experienced Greaves consultants help you decide which point of the compass suits you best. The subcontinent is really a country made up of many ‘countries’, which is what makes India so fascinating and why so many people return year on year. 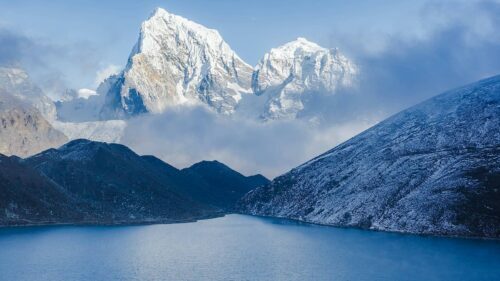 Journey beyond India and discover the fascinating and remote Himalayan Kingdoms of Nepal and Bhutan. Trek through magical rural countryside framed by the dramatic blue tinted mountain vistas. Here you can visit enchanting villages, watched over by the topple down Buddhist monasteries that pepper the hillside. Off the eastern coast of India travel to the emerald island of Sri Lanka. This tropical land is rich in every sense. With its spiritual soul, ancient cities, colonial heritage and lush setting of verdant jungle, manicured tea plantations and wild rugged coastline there truly is something to satisfy every traveler. At the southern tip of India head to the remote islands and archipelago of the Maldives. Here virgin beaches, lavishness water villas, swaying palms and tropical lagoons provide an idyllic end to an Indian tour. Speak with one of our specialists to decide which island getaway, luxury spa retreat or high end family resort can provide the wish list for your dream beach holiday.